As early as 65,64 € month financing with a maximum maturity of 72 months; total amount 4726,08 €; Bound annual borrowing rate 5,74 %, effect. APR 5,90 %. These figures are also the representative example in the sense of §. 6a paragraph 4 PAngV Agencies are exclusively by BNP Paribas S.A. Niederlassung Deutschland, Standort München: Schwanthalerstr. 31, 80336 München. Zupan Ecoline: affordable treasure with perfect beauty. 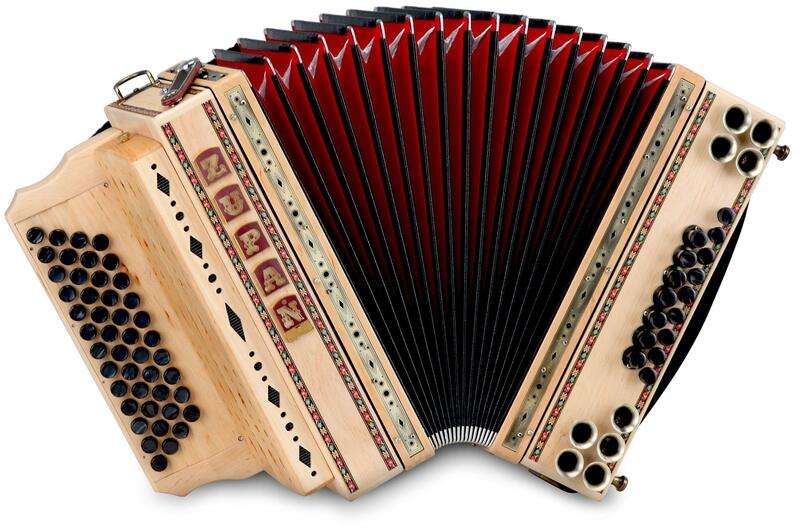 Zupan is among the most sought-after retailers in the accordion market. 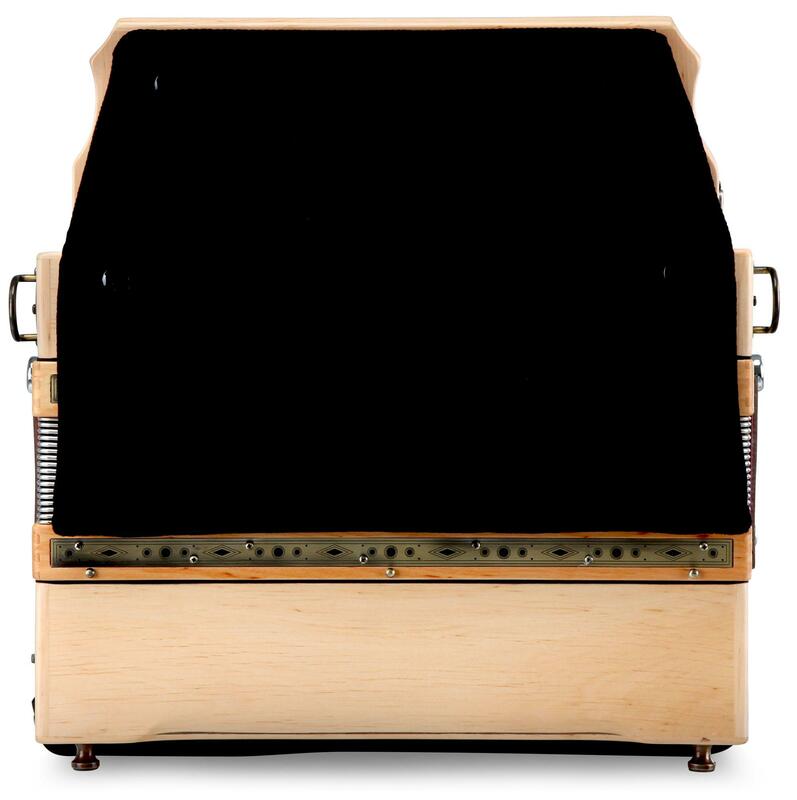 The incomparable reliability, loving workmanship and the outstanding sound of these amazing instruments has inspired musicians around the world. 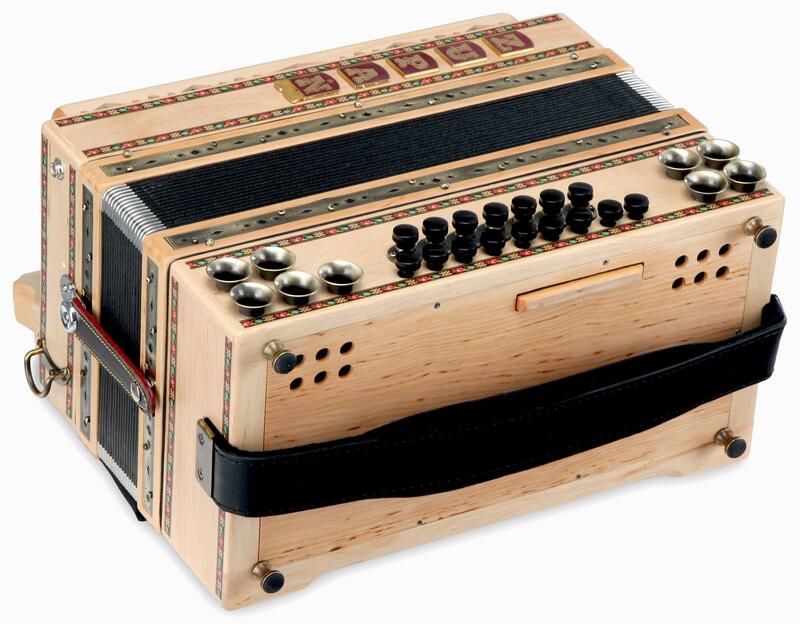 With the Ecoline, Zupan presents beautiful instruments who have a down-to-earth quality both in its natural appearance and affordable pricing. Zupan's Ecoline instruments are jewels, which will make your heart's desire into reality. 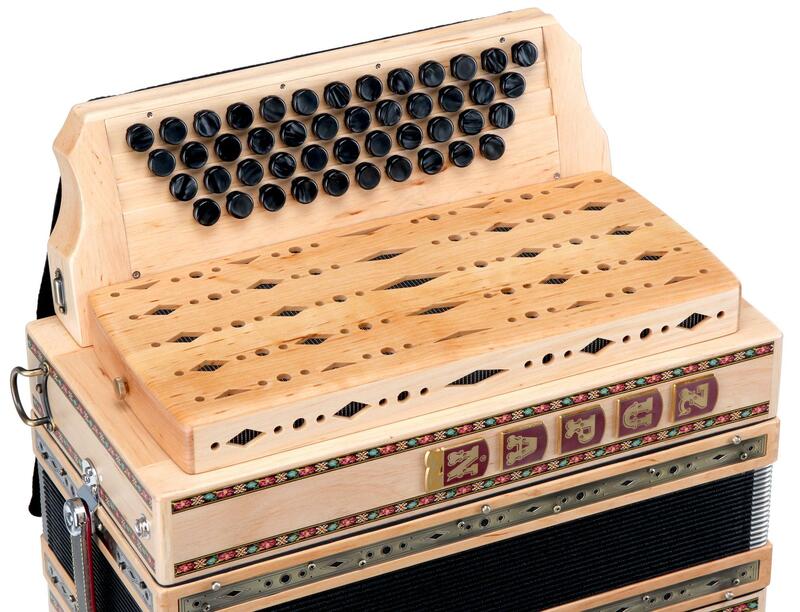 This accordion is a traditional yet elegant instrument with a well thought-out design. 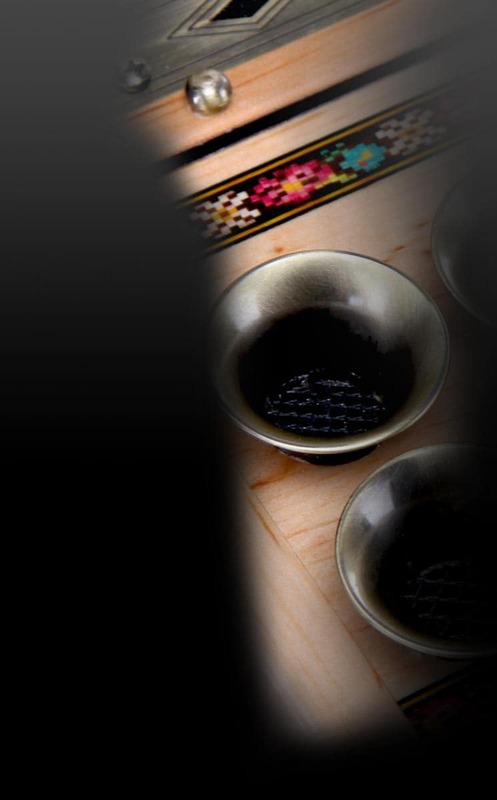 The floral decorating elements fit harmoniously with the elaborately worked Alderwood top. 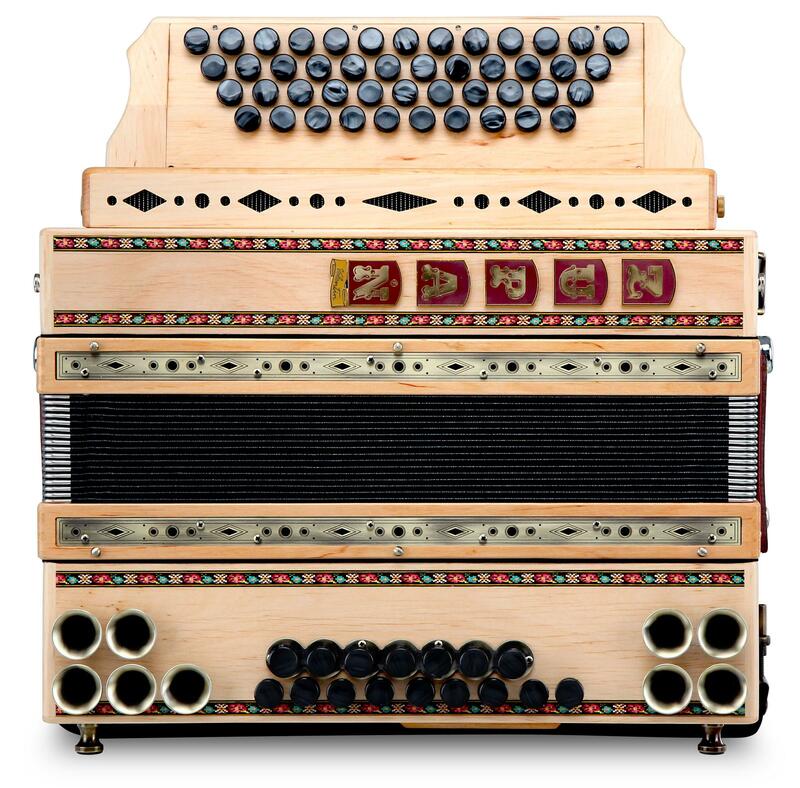 The metal fittings and dark red bellows complete this accordion's beautiful image. 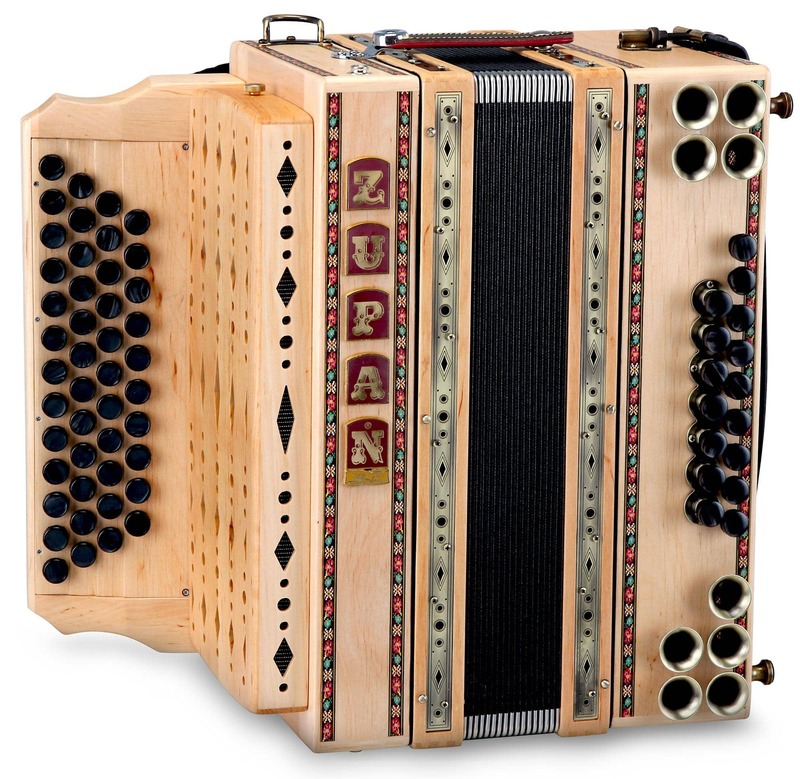 The Zupan Eco 4/III has high-quality tipo-a-mano reeds, one X-Bass and powerful, fast-response Helikon basses. 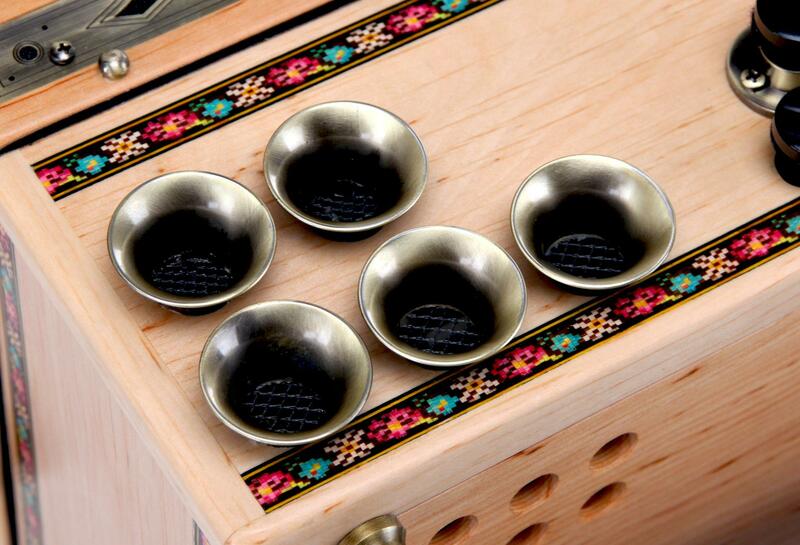 The high-quality workmanship shows with its beautiful visual, tactile and sonic qualities for your playing pleasure. A Zupan is an instrument you will love for life!